The fastest, most powerful DVD ripper yet to backup & rip all sorts of DVD (UDF/ISO9660) to virtually any format for watching on Mac iPhone iPad and Android, 100% lossless quality. The ultimate solution to manage, backup and transfer photos, videos, music, books, etc between iPhone iPad and Mac. Also export iTunes purchases to non-Apple devices. MacX DVD Ripper Pro - Must-have DVD ripper to rip any DVDs (including latest DVD movies) to Mac, hard drive, phone, tablet, etc. World's No.1 fast speed and intact quality. Rip DVD to MP4 for iPhone iPad Android on MacFast digitize DVDs to MP4, MOV, H.264, QT, AVI, MPEG, MP3, etc in 5 mins, so that you can store them on Mac hard drive, view on iPhone (XS/XS Max) iPad Android, edit in iMovie, upload to YouTube, back up to a NAS drive and enjoy them on big-screen TV. 3 steps only - throw disc, choose output, and done! Backup DVD to ISO Image, MPEG2 and MKV The 4 copy modes let you clone DVD to ISO image at 1:1 image ratio; copy main/full title content to MPEG-2 with original video and 5.1 Channel AC3/DTS Audio; backup DVD to MKV with all videos/audios/subtitles reserved. Updated! The only solution for all new DVDs, 99-title DVDs, damaged & unplayable DVDs; 200% the current industry speed by pioneering Intel QSV/Nivida Cuda/NVENC. Fastest DVD ripper to liberate movies from your DVD disc for enjoying on iPhone iPad iPod Android. MacX Video Converter Pro One-in-a-generation video transcoding software architected specifically for 4K UHD. World's No.1 fast with best quality-size tradeoff. 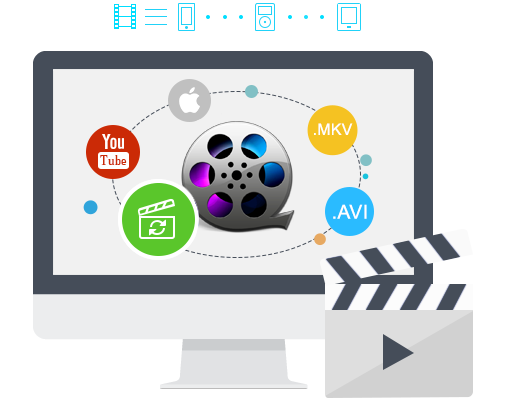 Convert to any format: Convert all types of media file, including DVD, MP4, HEVC, H264, MOV, MKV, AVI, MTS and make them playable on Mac, mobiles, TV, etc. [370+ codecs and 420+ profiles]. Download & Record: Download video/music from 1000+ sites, inlc. YouTube and Facebook; and capture anything on desktop screen with high quality. Easy video editor: Edit 4K/HD videos like cut, crop, merge, split, rotate, subtitle, watermark, and more at your fingertips; resize 4K/2.7K/1080p video to be smaller for faster uploading and space saving. Unique! It achieves record-setting "LEVEL-3" hardware acceleration. Converting a 5-min 4k video that used to take about 16 mins, now needs 1 min only on an Intel/Nvidia/AMD integrated graphic card, with best balance in quality and size. MacX MediaTrans- An all-new way to backup and transfer data between iOS devices and Mac in lossless quality, without data loss or leakage. Secure, Fast and Easy! Manage, Backup and Transfer iOS Data to/from Mac Import and export almost all iOS files, incl. photos, 4K/HD videos, music, ringtone, ebooks, voice memos, iTunes purchases, Podcast, etc. Expand your control over data - add, delete, make ringtones or playlists; auto convert audio/video to MP3/MP4; support the latest HEVC and HEIC files and auto convert HEIC to JPG; turn your iPhone into a USB to store any file. Blazing Fast and Just Drag-n-DropJust drag and drop, you can transfer data at lightning speed, right inside the sleek interface - copy 100 4k photos in 8 seconds only! The unique tool to delete photos from camera roll and fully compatible with iOS 12, iPhone XS/XS Max! Updated! Encrypt your photos and videos with the highest level of security. One click to transfer contents between iPhone iPad and Mac, incl. photos, videos, music, ringtones, iBooks, etc. MacX DVD Ripper Pro makes easy work of getting movies and TV off DVD and into a more modern digital format you can preserve, stream or watch on new devices. MacX DVD Ripper Pro is one of the best DVD ripper tools that you can find for ripping DVD content to your Mac. It's a handy thing to have when you're trying to back up your DVD collection. It makes it easier than ever to repackage your favorite videos including TV shows and your own recordings for playback on your mobile devices with 32X faster speed and great quality. MacX DVD Ripper Pro is a terrific DVD to iPod converter for Mac software app, and it works fast while maintaining a high level of quality. MacXDVD 2018 Big Christmas GiveawayMacXDVD today announced a big Christmas giveaway featuring iPhone Manager free copies, iPhone XR and steep discounts on MacXDVD flagship products. MacX MediaTrans V6.4 Released MacXDVD announces a significant upgrade to MacX MediaTrans V6.4 to make data transfer and backup easier, faster and safer than iTunes. MacX Is First to Support 4K Ultra HD VideoMacX Video Converter Pro is the best 4K video converter to upconvert 2K/1080P HD video to 4K and compress 4K to lower-resolution video at fast speed. Overview of MacX DVD Ripper, HandBrake and MakeMKV to better know how they rip DVDs. A list of the best free video converters for Mac users to decode, encode and process 4K Ultra HD and HD videos speedily and freely. If you've ever wanted to backup DVD to Mac's hard drive or store DVD movies in NAS, USB or so, here is the guide for you. Follow the guide to rip DVD to MP4 for iPhone, iPad, iTunes, QuickTime and other mobiles. Free MKV converter is available for you to convert HD MKV format to MP4 that more devices like iPhone, iPad, or Android accept. You can transfer iPhone photos to Mac as backup and free up iPhone space before switching to new iPhone XS (Max) or updating to iOS 12. Check MacX MediaTrans and iTunes comparison and learn how to transfer data without error. The YouTube downloader is just a click away and 100% free for Mac users to download YouTube 4K/HD videos and MP3 music from 300+ sites. 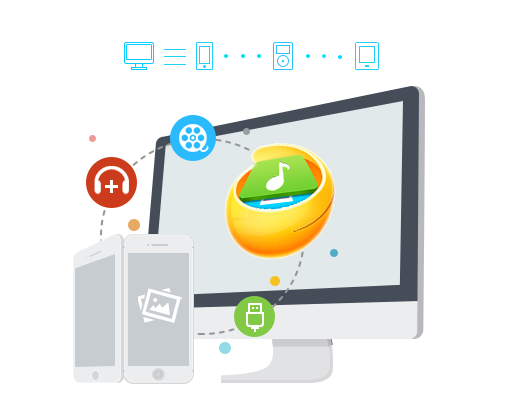 One click to instantly backup music, videos, photos, iTunes purchases etc. from iPhone to Mac with an easier iTunes alternative. For us, the greatest satisfaction from customers is our primary concern. It needs our efforts and your valued suggestions. We welcome any feedback, suggestions on our products and services from you. MacX DVD Ripper Free EditionDownload free DVD ripper for Mac to rip DVD to MP4, MOV, MPEG on Mac without DVD rip errors. macXvideo Next-gen 4K video processing tool to resize, edit and encode videos for social sites freely and easily. iPhone Transfer & Backup Files to MacTutorials to transfer data for iPhone iPad without iTunes sync error. MacX Free MKV Video ConverterFree MKV video converter for Mac to convert MKV to/from MP4, AVI, MOV, FLV, MP3, etc at fast speed. Download YouTube Videos (4K) on MacMacX YouTube Downloader makes it easy to free download video from YouTube, Facebook, and 300+ sites, no matter it is HD 1080P or 4K/8K UHD. Free Download HEVC/H.265 Converter Here's the best H.265/HEVC video converter for you to encode HEVC/H.265 into H.264, MP4, MOV, MKV or convert video to HEVC for iPhone iPad. How to Compress 4K 2160p Video to 1080p4K video is demanding of computer hardware and the codec encoded thereon is not well compatible with most devices, so it's essential to convert 4K to 1080p video that is more compatible with mobile devices. Check the guide about how to downscale 4K to 1080p at fast speed and high quality.